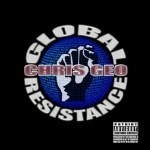 Jeran and Missa listen to the 2009 album “Global Resistance” which was produced by Truth Frequency Radio’s owner Chris Geo. They talk about each song and also play them hoping that some people, who may not have known that the album existed, could get a taste for them and share them with their friends that are also waking up. Click the link below to download the entire album.